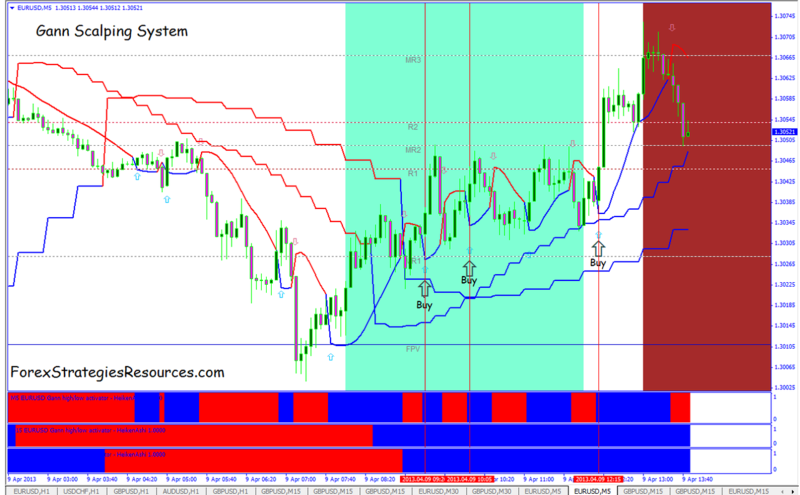 This Gann scalping system is based on the Multitimeframe adaptive Gann High-low indicator. London session or optional Berlin session. Arrow Buy confirmed by all blue line and all blue bars. Stop loss the previous swing. 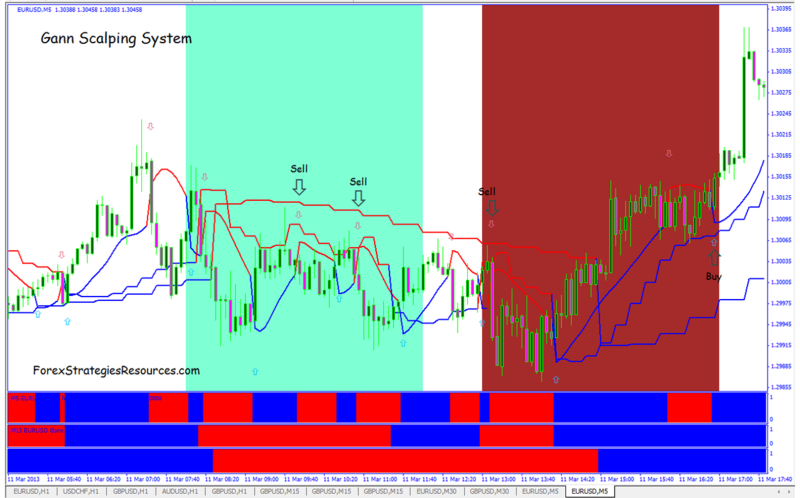 Profit Target on the pivots leves or 6-12 pips depends by currency pairs.